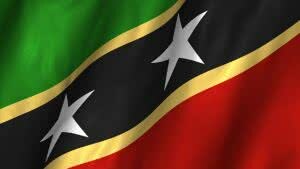 Nevis is a part of the Federation of St Kitts and Nevis, with its own corporate legislation. Nevis is a volcanic island at the northern end of the Lesser Antilles archipelago, with Charlestown as the capital. English is the official language. A Nevis Business Corporation (NBCO) is the best suited and most popular type of entity for offshore operations. An NBCO’s registered office and registered agent are in Nevis. An NBCO cannot conduct business in Nevis; however, it is allowed to hold accounts with local banks, convene general meetings, and store information there. Real estate ownership is permitted under certain conditions. An NBCO is allowed to hold shares of other Nevis companies. What do you need to form a company in Nevis? On condition that an NBCO is not doing business in Nevis, it is free from corporate tax, withholding tax, capital gains tax, income tax and stamp duty. The annual renewal fee is $250. Nevis participates in double tax treaties and tax information exchange agreements. There is no requirement to file accounts or an annual return.